No matter where you are in life, every so often you need to stop and ask yourself the philosophical question this article poses: What if the Hokey Pokey is what it’s all about? What if, when we get up to those pearly gates, they don’t ask us how many awards we received or stuff we accumulated or software programs we finally mastered? What if we are asked how much singing and dancing we did with our friends and loved ones? The Hokey Pokey is a great metaphor for focusing on the goals that matter. Not the stress and structure goals of youth, but the self-delighting goals that come when the hard stuff is done and a new world stretches before you. 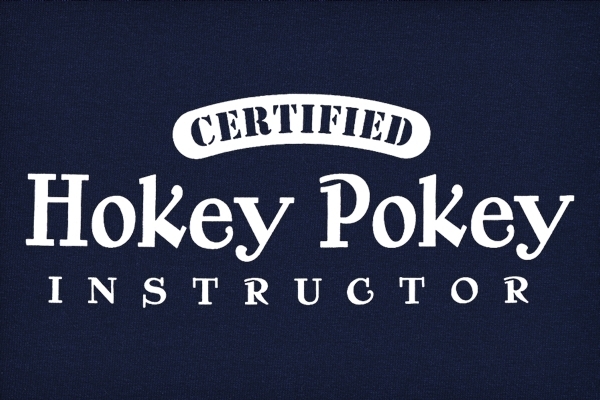 Here are a couple tips on how to use the wisdom of the Hokey Pokey.